After the elegant old Kyoto, our next stop was Osaka. The third biggest city in Japan, Osaka was for a long time the main port and commercial center of the country. Today it counts 19 millions of inhabitants and it has its own “way of being”, for sure. Youngsters hang out on the streets, docks, bridges and river promenades. In Dotombora, the heart of the city, the noise of people mixes up with ads from the big skyscrapers and it becomes almost an art getting through the mass of people evolved in the smell of the street food. Did I just find myselfin the scene of a Blade Runner? The best thing to do is just let go with the mass of people surrounding you and experience the moment. 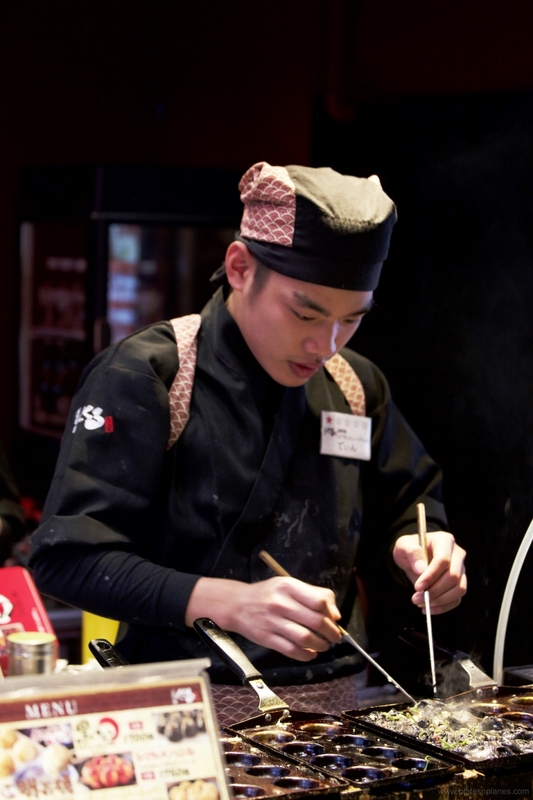 Osaka’s TAKO-YAKI and OKONOMIYAKI are the representatives of Japanese cuisine throughout the world and besides being extremely tasty, they are also easy to prepare. TAKO-YAKI are small balls (their shape reminds me of our “fritulas”) made from dough and filled with squid. It can be fried on a pan. The restaurant of the same name Okonomiyaki prepare and fry them in Teppana, big hot steel panel. There is a table with chairs around the panel, so that the guest can see the process of preparation. At the end, they sprinkle it with katsuo-butshi (tiny leaves of dried mackerel). Yummy! They are served on the metal plates together with a small spatula (used for cutting) and chopsticks. Our last day in Osaka was a sunny Sunday and after we didn’t manage to find tickets for a Sumo fight (tickets cannot be bought online, you have to arrive at 5am, wait in line and hope for the best), we decided to wander around and that’s how we came accross the Cosplay Street Festival that got me completely amazed! 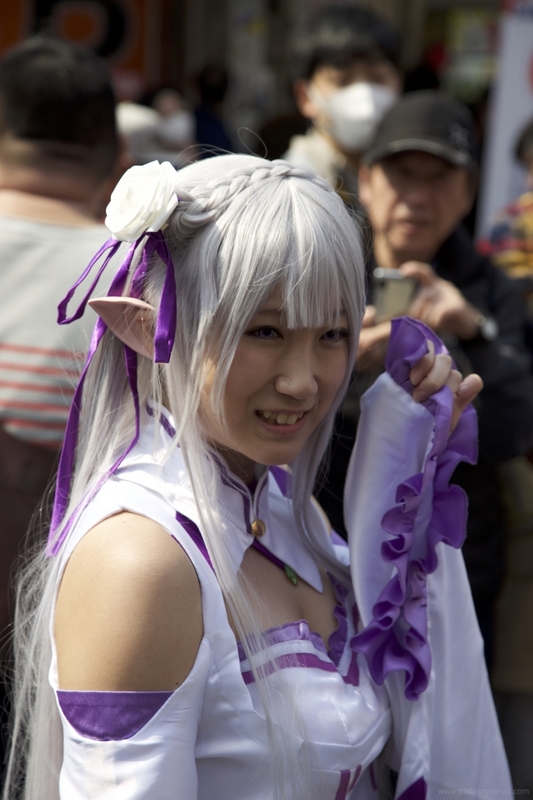 Cosplay Festival happens once a year in Osaka (mid-March). The participants come from all over Japan. Masks usually represent their favourite cartoon, comics, sitcoms and movie characters. Costumes and masks are absolutely breath-taking and they are a live testamente to Japanese dedication to details: make up, colored contacts, wigs and gestures of certain characters – all gets covered. You can see their enjoyment on every step and they are more than happy to pose for the photos. 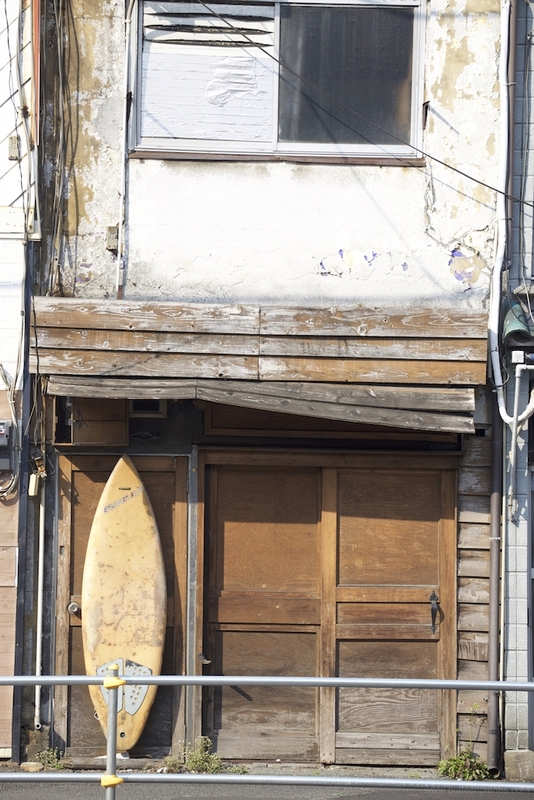 And so, day by day, and we went down to the Seto Inland Sea. From the port of Uno we headed for the Noashima and Teshima islands, very famous among the architect and contemporary art aficionados. Enjoying the light spring breeze we found ourselves in somewhat different scenery, surround by the green islets of all shapes and sizes. Of course, the 90% of travelers were architects. We debarked in Teshima, a charming fishermen island, took the bikes and went around exploring the nearby hills, stopping along the way to visit the Art Museum of the famous Japanese architect Sejima and Ryu Nishizawa and the artist Rei Naito. The meditative, zen interior embraced by the stunning nature landscape left me speechless. In the afternoon we visited Naoshima and enjoyed the masterpieces of the architect Tada Anda. The day after we headed south and after spending half a day in Hiroshima, we continued to Miyayima. Miyayima is a small pictoresque island with the floating sanctuary that is protected by the Unesco as the wrold heritage. In the evening, after all those loud tourist went to their hotelrooms, we enjoyed the maginificent view while eating some fresh filled oysters – Miyayima’s specialty. After chilling in Ryokan in Kanazawa.. ??? Ryokan is a traditional Japanese inn, with tatami rooms and shared bathrooms (today they offer private ones as well). Each room has a view on the garden with the lake and almost all of the rooms have an access to it as well. While you’re taking a shower, the table is being removed and mattresses prepared and your room becomes a comfy sleeping paradise. Definitely worth giving a go.